I haven’t updated in a long time and there’s no excuse really… besides the fact that I got married! We spent months meeting with caterers, going to tastings, e-mailing them, on the phone gathering details, negotiating with them, designing a menu that would fit our budget and satisfy our palates because we wanted good food at our wedding. 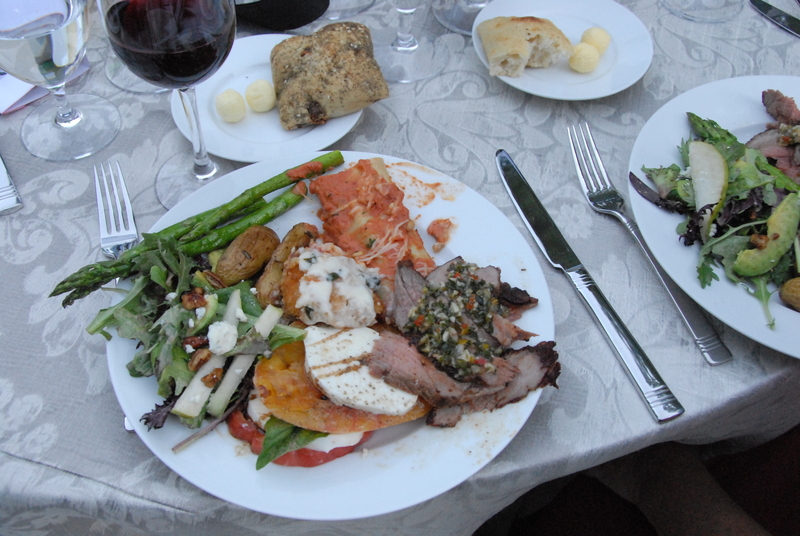 We dared to dream for great food at our wedding. Boyfriend The Mister (TM for short) and I actually weren’t super impressed with our food the night of the wedding but our guests seemed to really enjoy it and that is what matters. I thought the food was just okay but I loved our hors d’oeuvres. Too bad we didn’t get to eat very many of them. It’s amazing how much I planned and how little of it I actually got to see. All these details I had painstakingly planned out might not have ever happened for all I know. 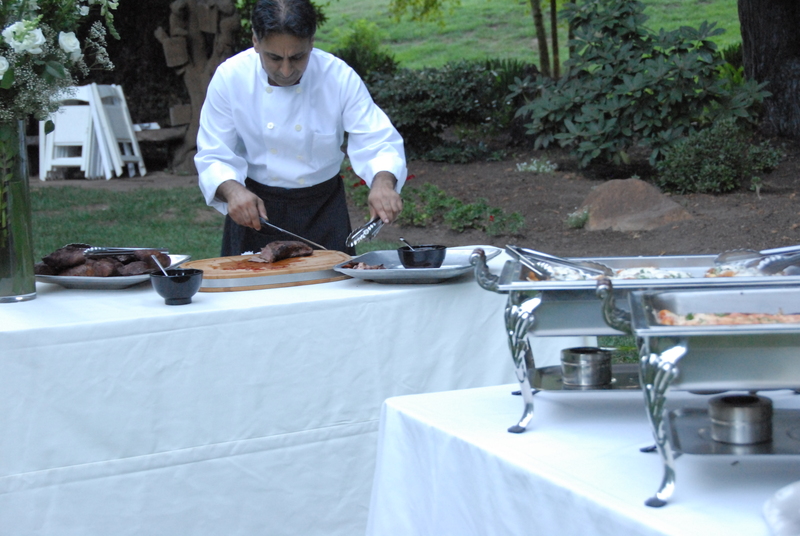 We decided to go with a buffet dinner so guests could pick and choose as much food as they would like and had a carving station for our tri tip. 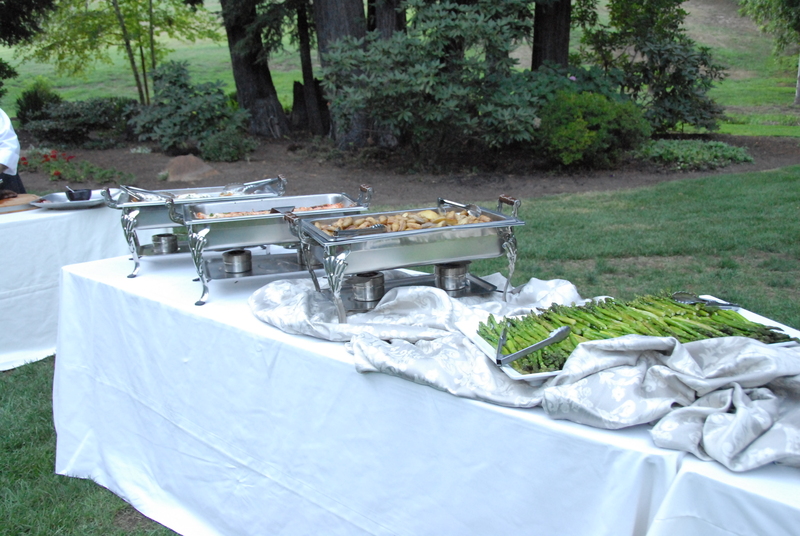 TM and I were fortunate enough to get served our meals so we never stood up to see the buffet line. Thank goodness for digital cameras. Our friends and family have been so thoughtful to e-mail us the pictures they took on the wedding day. This was someone’s dinner plate. Our caprese salad was pretty bomb, I must admit. After the wedding, we headed to Fiji for eight luxurious days and got spoiled silly at a gourmet all inclusive resort (all food AND alcohol included) in Riviera Maya for four days. Did I mention we won the Riviera Maya trip in a drawing?!? You are currently browsing the For the Love of Food weblog archives for September 2010.